Welcome to the second day of our BARA kitchen plan. 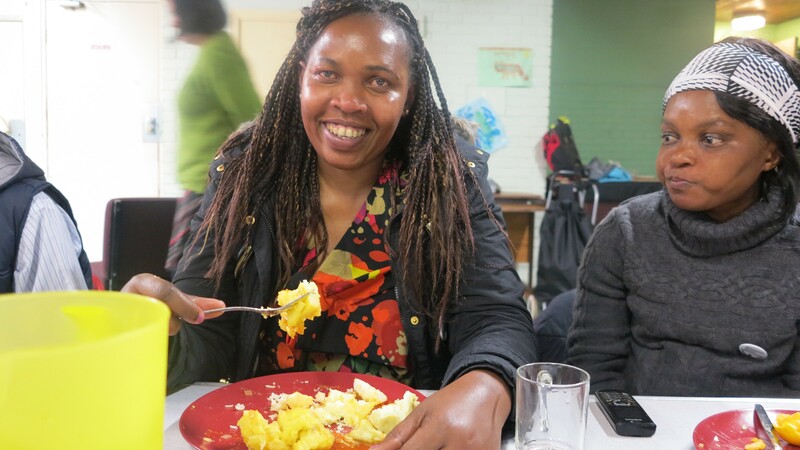 Immaculate, one of our beloved members who hails from Uganda, gave us a taste of Ugandan food. 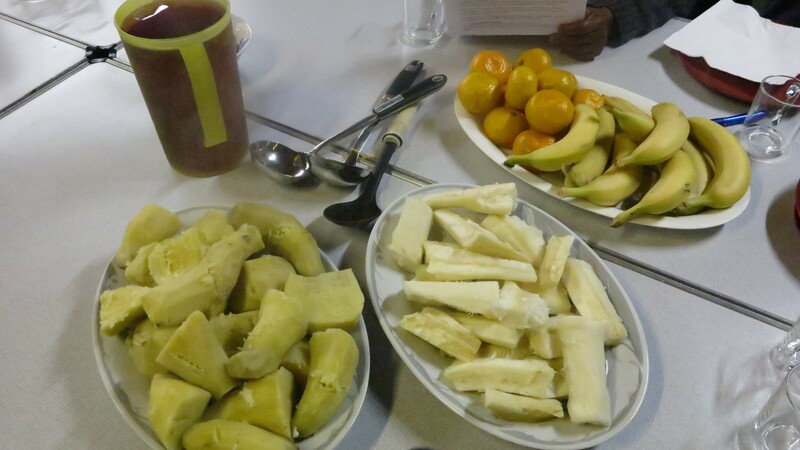 The menu includes sweet potato (lumonde), banana (matooke), kasava (muwogo) ,chicken, lamb curry, rice and fruit. The staple food of Uganda is sweet potato and cassava served with chicken stew and green vegetables. our Ugandan dinner plate is ready to serve along with fresh fruits and juice. 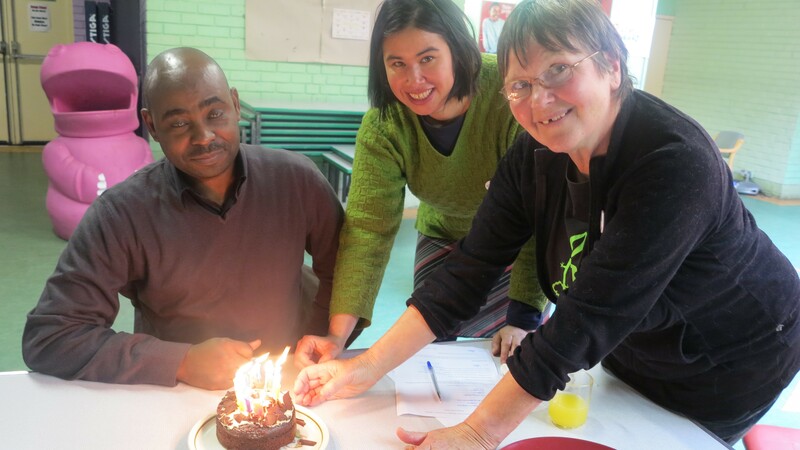 It was then time for our beloved member Boniface birthday celebration with a yummy chocolate cake. 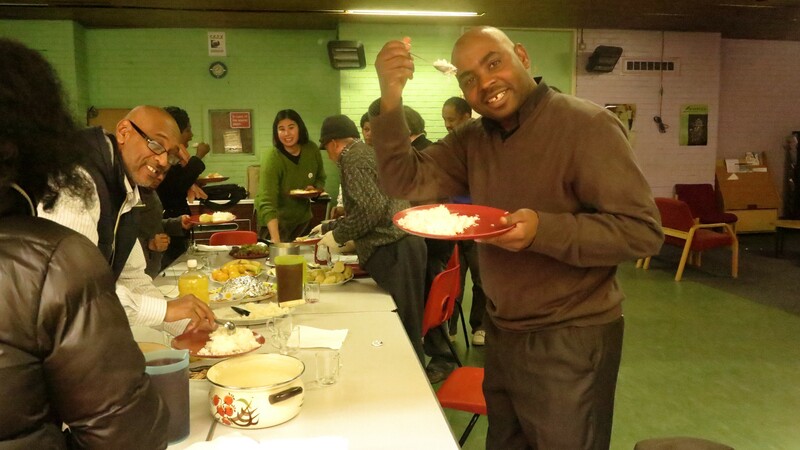 Thanks to Kirsten, Dhanai and Faith for helping Immaculate with today’s cooking and serving …next time we are gonna rejoice with South African food made by Faith.